What is the Olive Grove? You might've heard the term, 'Olive Grove' a lot through our social media channels. But do you know what it is and why we talk about it so much? Well, it’s about time the Olive Grove gets a proper introduction! So, what is the Olive Grove? Simply put, the Olive Grove is an area where we work towards building a civilized community similar to our campUS Kara Tepe. Since we went to Lesvos, back in 2015, we have been taking action to help solve the humanitarian crisis. What started as an urge to act, has grown into an organization with a long term vision. With help from our network in the Netherlands we could roll out and implement our vision in campUS Kara Tepe. We created a community-feeling and the chance for residents to live a somewhat normal life. Opposed to many other refugee camps, residents in Kara Tepe have control over their own life. A good example is the food distribution. Instead of standing in long queues waiting for food an water, people in Kara Tepe decide for themselve when and what they eat. After a while, we saw a group of people creating their own tents from scraps they found on the streets just outside camp Moria. 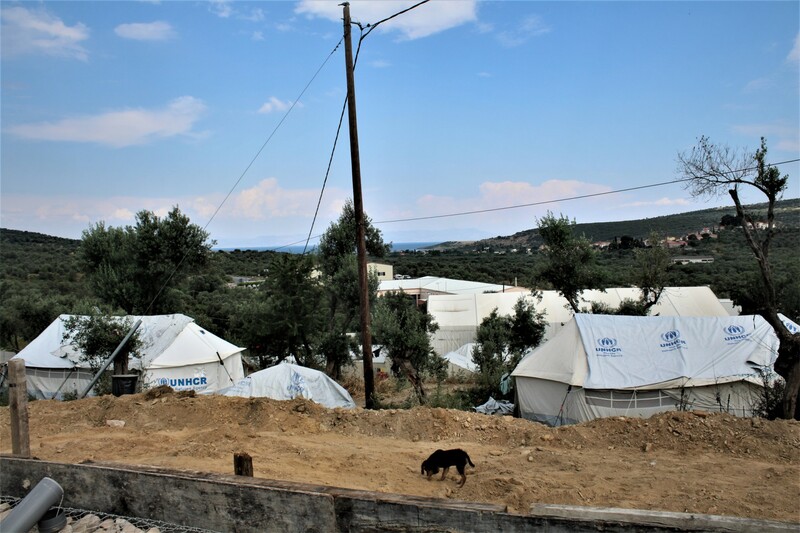 Due to the fact that Moria is overcrowded, people started living there. As days went by, we saw the group of people in the Olive Grove growing and growing. We needed to do something. We decided to take the learnings from our Kara Tepe CampUs and use them in the Olive Grove. That was the least we could do. But of course, we needed funding for this. We organized a big fundraiser, and got the support we needed to build Olive Grove South. With the funds donated, we built the Olive Grove into a community similar to Kara Tepe. Now residents can have warm meals and attend English classes, as well as digital learning labs. So, who were these generous donors? 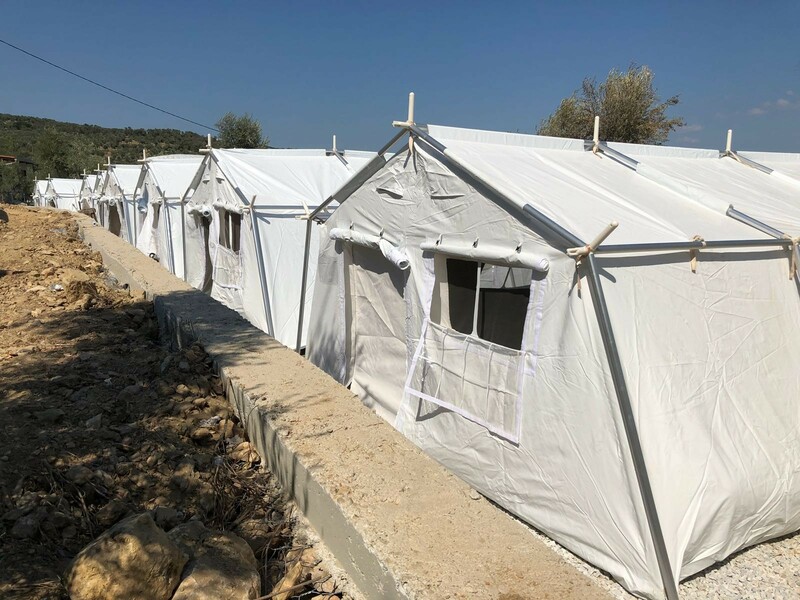 Businessmen who came to Lesvos, saw the situation first-hand, and held multiple fundraising campaigns to help us create a home for the people in the Olive Grove. There were many donors who stepped forward to help us throughout our mission, and there were many donations made to help us fund our projects. A huge thank you to all of you! One of the ways money was raised for the Olive Grove project was through the Adopt an Olive Tree concept. Inspired by the sacred tree in Greece, which stands for peace and friendship, the concept of adopting a tree becomes meaningful and spiritual. You are not only raising money to help the humanitarian crisis currently happening on Lesvos, you are also keeping the Olive Tree sacred on the island. The Olive Grove is still expanding, and while we're doing everything we can, we could use your help!Make a donation now or Adopt an Olive Tree!